Has your Camarillo business been slower than usual lately? Maybe it seems like you’re in a temporary slump? There are many reasons for business slowdowns. It could be between holidays, or people are currently spending their money on other things. The economy may be in a downturn. When things get slow, it’s time to think about attracting more attention with a new sign for your Camarillo business. Like the halo-lit channel letter sign we did for Brendan’s. Here are some important benefits of making some changes to your signage. You could spend an enormous amount of money and renovate your business or businesses. However, it could take a long time to recoup such a major investment. It may be much easier to put up some new Camarillosigns. This can give your buildings a completely different look, without changing anything else. Maybe it’s time for an attention-grabbing illuminated sign like the one we gave the El Tecolote Cafe? 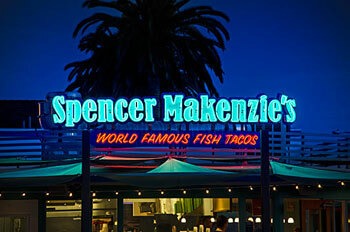 If you get a lot of local foot traffic, neon signs can give you a distinctive look. They are an open invitation to come inside and check things out. What kind of signage will change your message or attract more attention? It depends on your business, products, services, location, and the kind of potential customer you’re interested in. This can make the process of choosing signage difficult, but it doesn’t have to be. At Dave’s Signs, we know the ins and outs of the sign business because that’s all we do. As sign specialists, we take care of the entire process from the design stage to installation. We work with you to make sure your signs are customized to your needs and specs. To see how new signs can turn things around, call (805) 641-1387 today.